We struggled to shut the sliding door and would require 2 people to push it along its tracks. Called Stephen, described the problem over the phone and booked a time for the repair. Stephen and wife arrived on time, with the necessary tools and fixed our problem on the spot. Thank you! 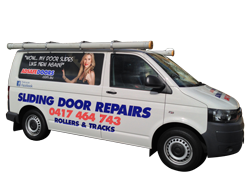 Helen with Stegbar Door – Sydney, Australia.